MaintenanceDirect users that utilize a mobile device have the ability to use a cellular email address such as 5555555555@vtext.com to receive SMS notifications. 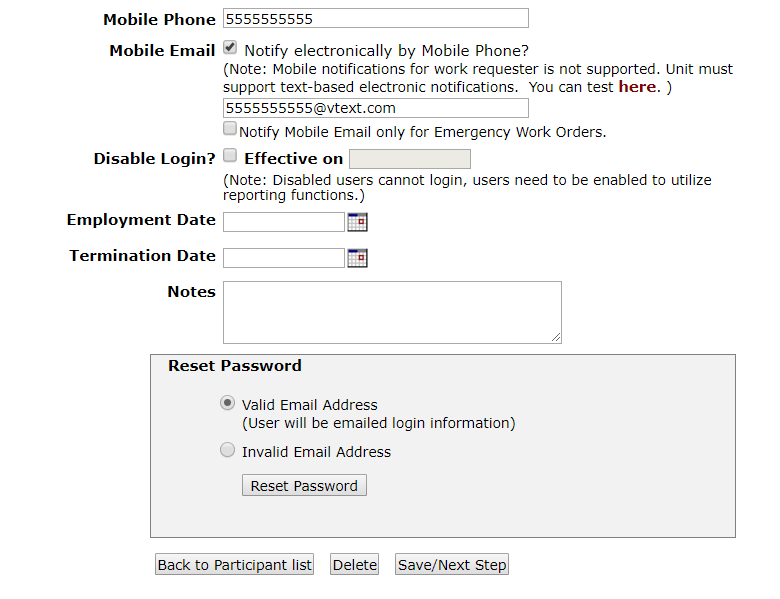 The SMS notifications are dependent on the email notifications setup by Administrators for each user role. Check the box next to Notify electronically by Mobile Phone? in the Mobile Email field. Check the box next to Notify Mobile email only for Emergency Work Orders if the user only needs to receive SMS notifications for work orders that are recorded as an Emergency in MaintenanceDirect.